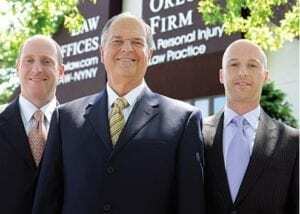 It is for this reason that the attorneys of The Orlow Firm are passionate regarding the defense of clients who are victims of Bronx police misconduct and abuse. We have handled scores of cases involving police misconduct across New York City and The Bronx and have recovered multiple high-value sums. Were you assaulted or beaten by a Bronx police officer? Are you living under threats or intimidation from a police officer or investigator? Do you have questions about a possible illegal false arrest or malicious prosecution? If you have been injured by a Bronx police officer or have questions regarding your treatment during a Bronx criminal prosecution, contact a Bronx police misconduct lawyer. Call (646) 647-3398. To contact a Bronx police misconduct lawyer at any of our four New York City offices call our central phone number (646) 647-3398.